THIS ITEM HAS BEEN DISCONTINED BY PELLA. We bought all the inventory they had left, so sizes and quantities are limited. Get yours today before they are GONE FOREVER! 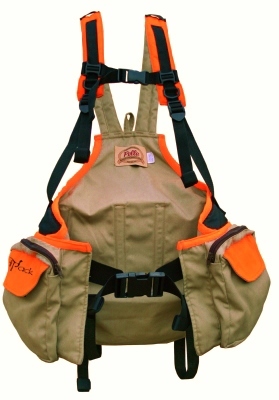 Pella's exclusive Bird Pack® design utilizes a weight shift system to dramatically improve balance and comfort in the field. 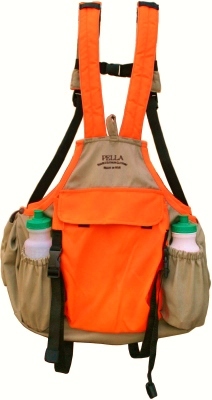 Walking miles with all of the necessary gear has been made much easier with the design and carrying ability of Pella's Bird Pack. It's no longer necessary to put up with back strain and pain with the special ergonomic design of this product. 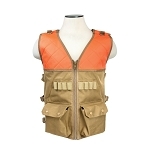 No other upland vest incorporates lumbar support that closely resembles a back brace. 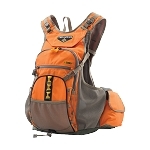 The Bird Pack® utilizes extra long aluminum lumbar back stays to assist in lower back support while dramatically improving balance and load support. 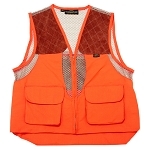 Improved comfort in the field means you will be less fatigued and can walk that extra fence row to hunt longer. Back stays can be customized to fit your back by simply bending the aluminum stays. 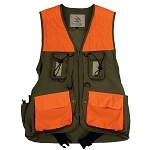 Have more peace of mind, be prepared for the unforeseen and hunt safer by packing your necessary gear more comfortably. Rear bed roll compression straps combine to cinch up garment profile slightly in back and can also be used to carry unneeded jackets, etc. Waist belt adjustable from 38" to 44"
Waist belt adjustable from 46" to 52"